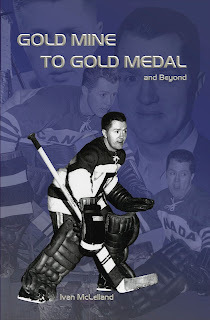 Ivan McLelland, who back stopped the Penticton Vs by beating Russia 5-0 in the 1955 World Championship, has just published a book. Don't have a lot of details but I think it is his life story and done as a fundraiser for Dementia Patients out in Penticton where Ivan is still going strong. Sells for $30. I think they only printed about 500 limited edition copies which are almost sold out and he plans to put it out in ebook later. For those who do not know who Ivan McLelland is: He was the goaltender who backstopped the Penticton Vees to the 1955 World Ice Hockey Championships in Germany, blanking the Soviets 5-0 in the final game. He had four shutouts and gave up only five goals in the entire tournament as he and his teammates restored Canadian pride in international hockey. The previous year the Soviets debuted at the World Championships and shocked the world by defeating the heavily favored Canadians. 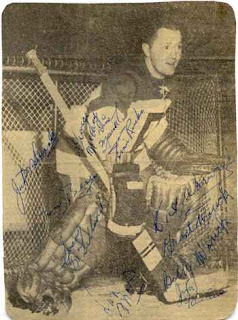 In 1955 Ivan McLelland and the Penticton Vees - notably starring he Warwick brothers Grant, Dickie, and Billy - fought and scrapped their way to international glory. Grant was also the coach. He told the team if they lost to the Russians, they might as well book a flight to China, because there was no way they'd be allowed back into Canada. Thanks to the Warwicks spirited play and the great goaltending of Ivan McLelland, the Penticton Vees became World Hockey Champions. 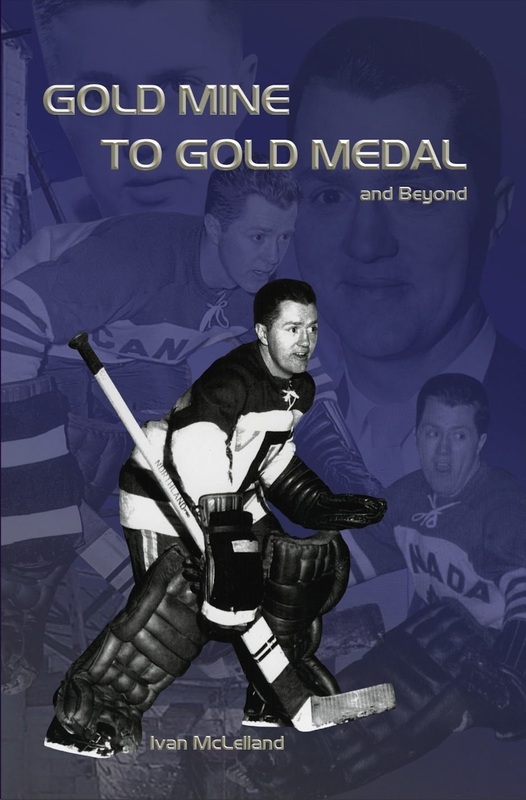 Here's more about the book: "Gold Mine to Gold Medal and Beyond" offers personal insights into the life of a young man who was an integral part of a historical international hockey event. It also features a group of young men, known as the Penticton Vees, who took the word “try” to a new level. Just as importantly, it is a life story and a love story that lived itself out through the fabulous fifties. You'll experience the unique events that culminated in a team of “individuals” standing at the absolute pinnacle of the hockey world, in spite of the fact that given the cast of characters, many did not believe such an outcome was even possible. The stirring contrast between meager beginnings and international fame is highlighted by stories that have remained untold for decades. Although this story has its roots in Canada there were definite ramifications that had an emotional impact on people throughout the globe. Indeed, this was the beginning of an international hockey rivalry like no other before or since. Regardless of the magnitude of the achievements involved, they have been unfairly forgotten, for the most part, due to the natural passage of time. This recounting of the facts breathes life back into a fascinating and exciting series of events that represents something more than an international hockey story. It is a life story.